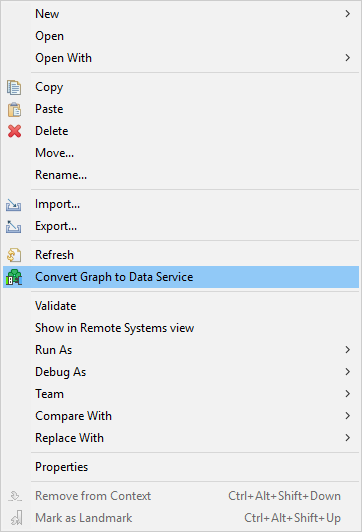 You can convert a graph to Data Service rest job. To convert a graph to Data Service, right click the .grf file in Navigator and select the Convert Graph to Data Service option. A new .rjob file will be created in the data-service directory. The selected .grf file is left untouched. This option is available only in Server Projects and you can convert only one graph at once.